St Mary's Boys' Home, on Church Street, Boston Spa, was opened in 1942 by the Catholic Diocese of Leeds Rescue and Protection Society (now known as Catholic Care). It acted as a replacement for the Society's St Vincent's Home for Boys in Leeds which had been evacuated at the end of 1940 to the St John's Home, which also stood on Church Street. The younger boys from St Vincent's moved into the new St Mary's Home, while the older boys remained at St John's until 1946 when they were transferred to the St Gabriel's Home at Horsforth, near Leeds. St Mary's could accommodate up to 15 boys aged from 3 to 16 years. 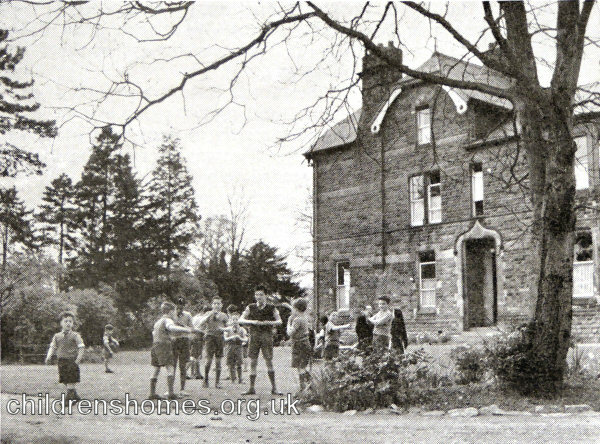 St Mary's Boys' Home, Boston Spa, c.1950s. Up until 1950, St Mary's was run by the Sisters of Our Lady of Good and Perpetual Succour. They were then succeeded by the Sisters of the Poor Child Jesus. Leeds Roman Catholic Diocesan Archives, Hinsley Hall, 62 Headingley Lane, Leeds LS6 2BX. Diocesan Rescue and Protection Society Annual Reports (1912 onwards). Catholic Care (Diocese of Leeds).